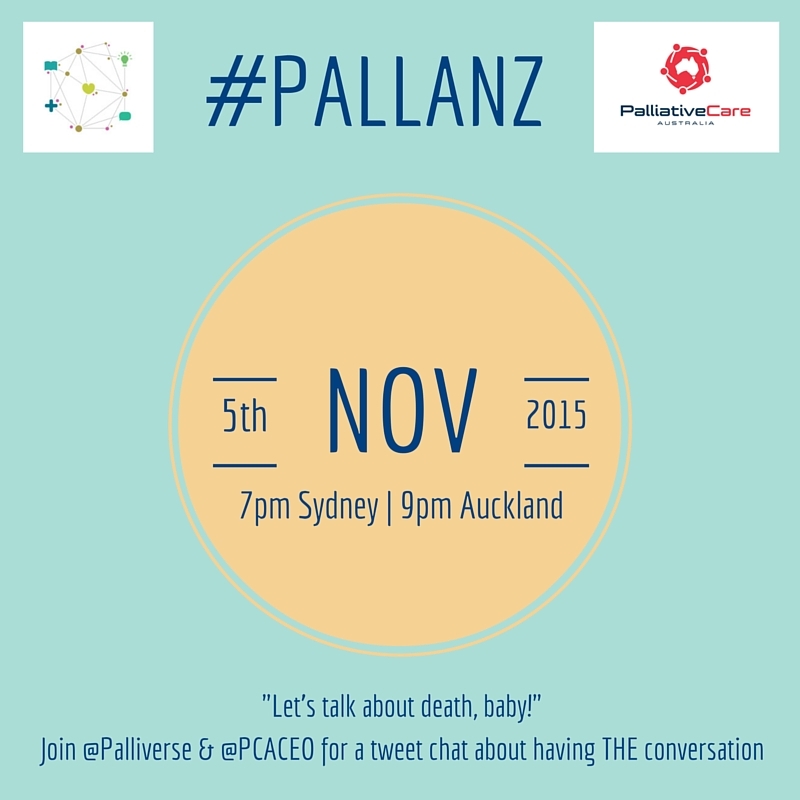 This entry was posted in #PallANZ, Ideas, People, Practice, social media, Tweet chat and tagged #PALLANZ, Australia, New Zealand, Palliative Care Australia, Tweet chat by Chi. Bookmark the permalink. Great! hope to make it to this one!